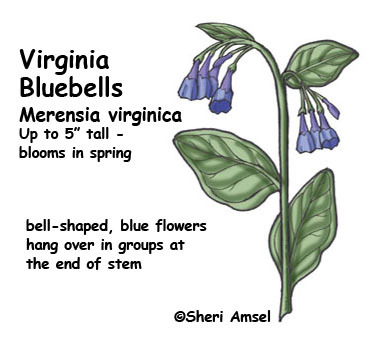 They bloom in the spring in thick woods and open grassy meadows. 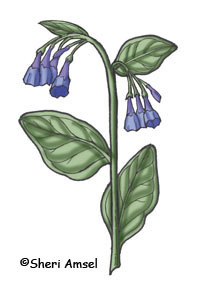 The 1' long, blue flowers are bell-shaped and hang over in groups at the end of a stem. The plant can reach 2’ tall with ovals leaves ending in a point.